How many of you prefer a large purse or maybe use a tote bag as a purse? I do! For some reason, I have never been able to use a small purse...I've attempted to and have found myself with an overstuffed bag and not able to locate anything that I needed. How frustrating! I recently received a gorgeous bag from Pattern LA, the Pattern Signature Die Cut Leather Bag. This exquisite bag is an open tote in soft pebble leather featuring the signature Pattern LA laser-cut logo design. The classic shape and upscale finish create a timeless elegance and endless versatility that is also very chic and trendy. If I had to describe this bag in one word, I would simply say "gorgeous!" My oldest daughter, Amanda, immediately adopted this leather bag as her own as soon as it arrived. She intends to use it as not only a purse, but also to carry her belongings to and from her college classes. As for realistic versatility...Yes, this bag can certainly go from the college classroom to lunch or dinner with friends. Pattern's designer, Tiffany Lerman, (or TT, as she is known to family and friends), has created a collection of essential tote bags featuring exclusive and delightful textile designs. Pattern embodies a simple, casual and charming look that any woman would want to carry with them, I know I certainly LOVE the bag and would be proud to carry it anywhere. 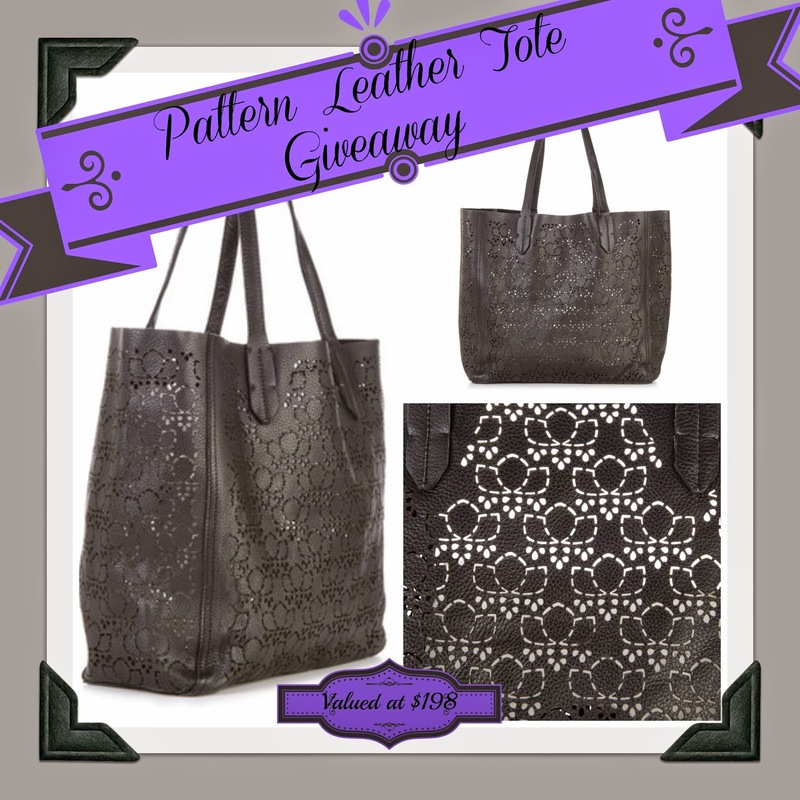 Thanks to our wonderful sponsor, Pattern is giving away the amazing tote bag to one AWESOME reader. Simply enter on the Rafflecopter form below...Good Luck! Visit the Pattern LA website for this bag and other lovely totes, purses or cosmetic bags. Get social with Pattern LA on Facebook, Twitter, Pinterest and Instagram!